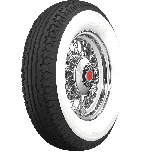 Firestone Balloon tires were original equipment of many iconic automobiles from the late twenties and early thirties. 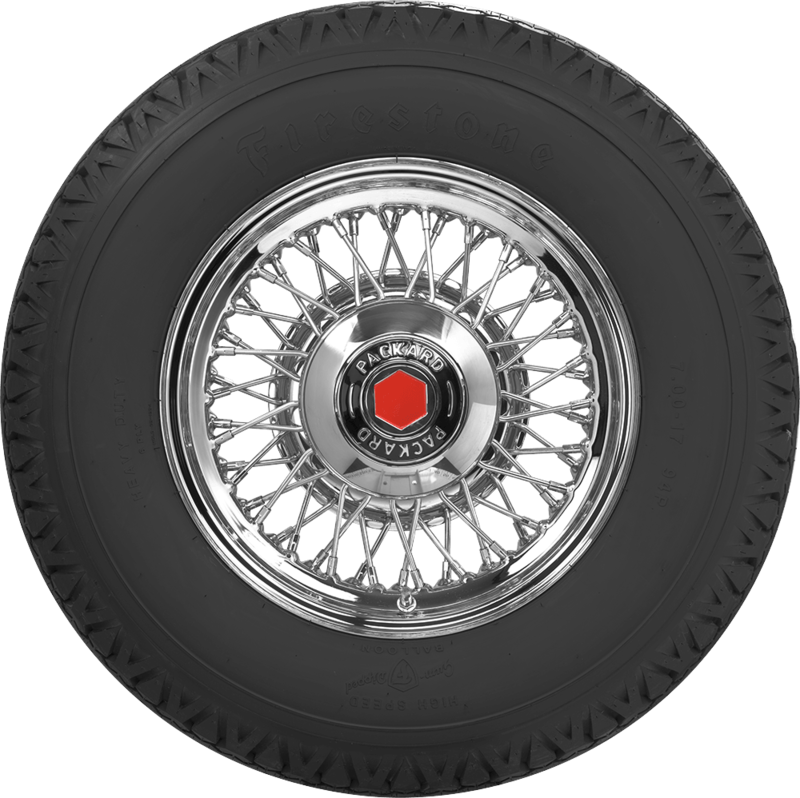 These tires have incredible period-correct detail in blackwall style. They are also available in beautiful genuine whitewall style. 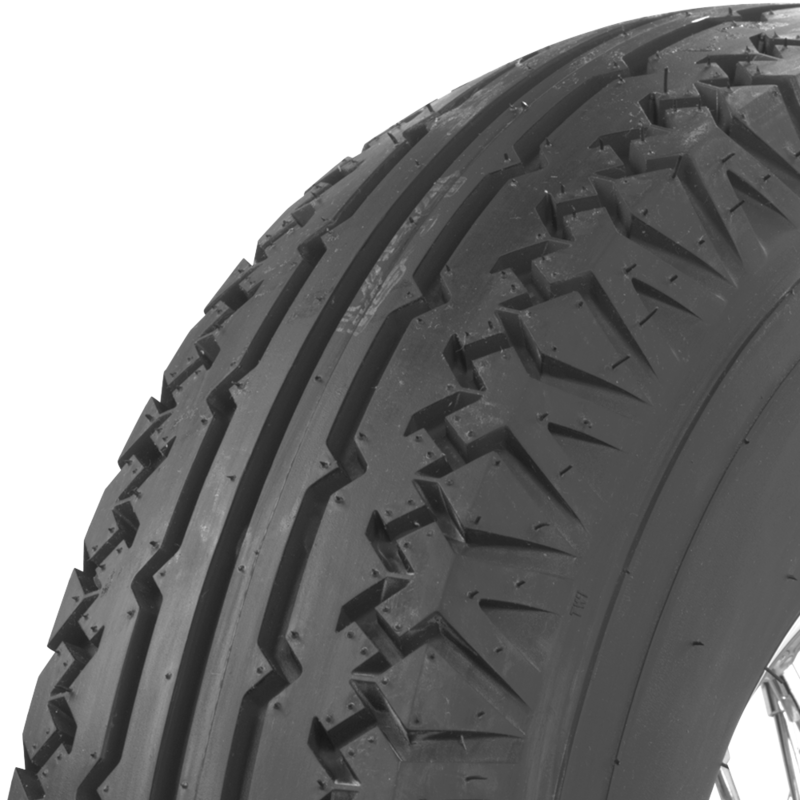 Firestone Balloon tires feature authentic Firestone lettering embossed in the black sidewalls and original tread pattern designs. They're made in original molds to maintain authenticity and backed by our life of the tread warranty. 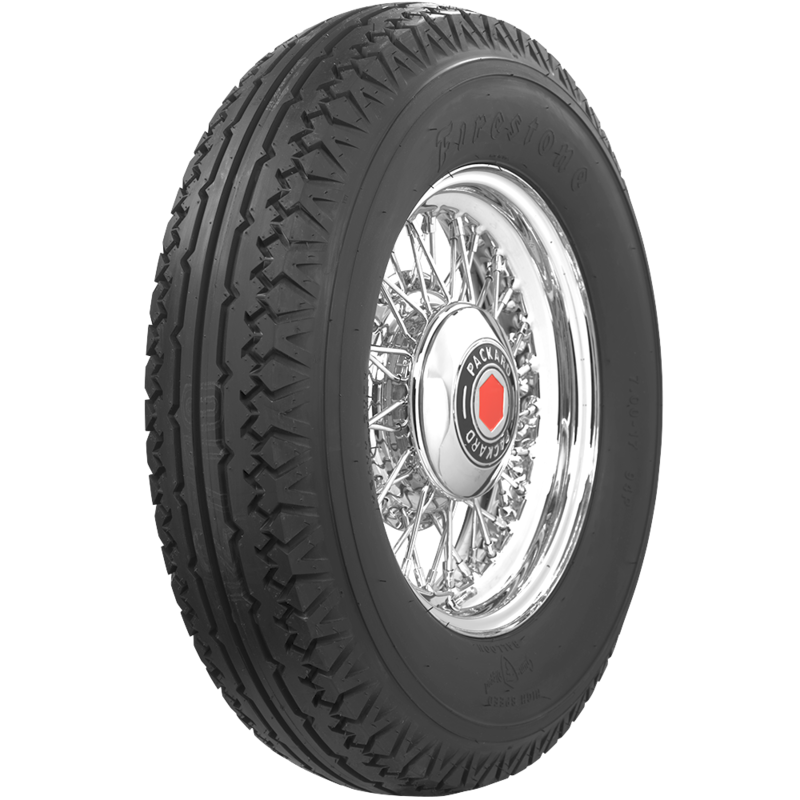 Firestone Bias Ply Balloon tire in blackwall are DOT and ECE (European Community) approved where applicable. Firestone offers the world's best selling line of vintage bias ply tires, and Firestone Deluxe Champion quality and reliability is legendary. On any tire listing, scroll down to "Similar and Related products" to see suggested tubes. For this tire, more than one are offered. Select tube for your application based on valve stem type and placement.